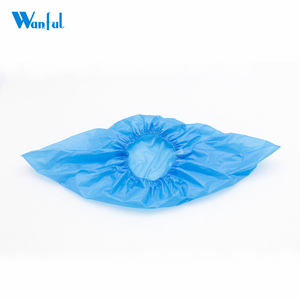 Q2: What is your main products9 Our main products are all kinds of plastic bags. Q5: How does your factory do related quality control9 Quality is the No.1 priority. We attach great importance to quality control from the very beginning of manufacturing. Q2.What's the MOQ9 A2.Any quantity we can offer you, the quantity is different, the price is different. We can send out the sample within 2 working days after receiving sample cost,but not pay the cost of freight. Q6.How to get quotation9 A6.Please tell me the size and weigt of the products and which product are you need ,we will offer you our best prices. 2.Good elasticity: no matter adults or children are suitable to wear off. 3.Size covers the vast majority of the population, children S code, female M, male L code. 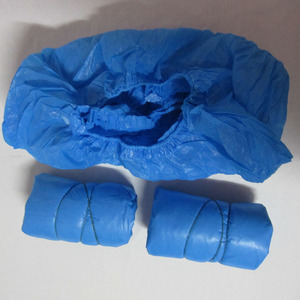 5.Waterproof: Can be used directly on rainy days. 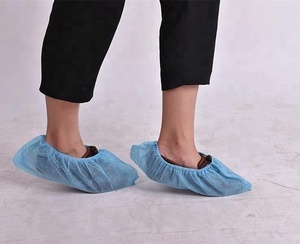 nonwoven shoes covers disposable PP shoe covers nonwoven shoes covers disposable PP shoe covers Blue Disposable Shoe Cover with Elastic with CE/ISO Standard Item Name Disposable Shoe Cover Material nonwoven(PE, CPE available) Weight of Material 25g, 30g, 35g,40g,. 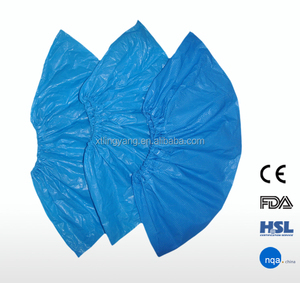 Normal Size 38*15cm(your size is OK) Color White,Blue Type Disposable Style Machine made or Hand Made Service OEM Package 100pcs/bag,2000pcs/carton Certificate CE,ISO9001, ISO14001 Features: The disposable shoe cover is our featured products,our company have gained CE,ISO14001 and ISO9001:2000 Certificates. So we can assure the quality. 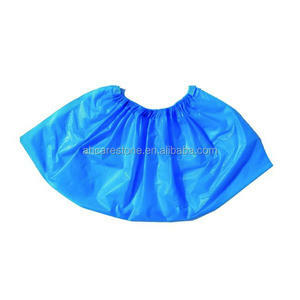 Alibaba.com offers 15,115 plastic shoe covers products. About 6% of these are rain boots, 5% are other safety products, and 1% are general medical supplies. 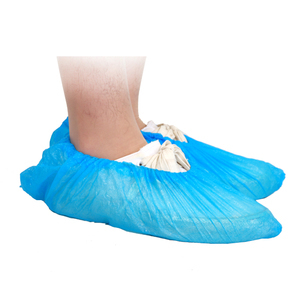 A wide variety of plastic shoe covers options are available to you, such as men, women, and unisex. You can also choose from pvc, rubber, and eva. As well as from knee boot, ankle boot, and half boot. 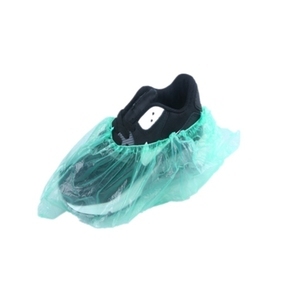 And whether plastic shoe covers is free samples, or paid samples. 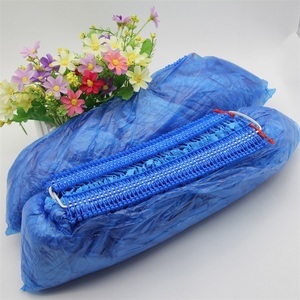 There are 15,135 plastic shoe covers suppliers, mainly located in Asia. 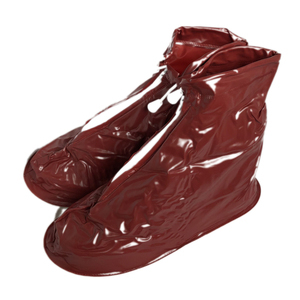 The top supplying countries are China (Mainland), India, and Taiwan, which supply 98%, 1%, and 1% of plastic shoe covers respectively. 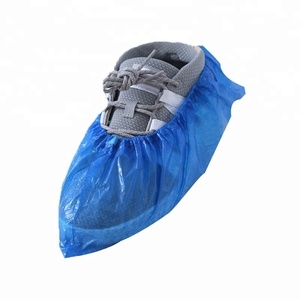 Plastic shoe covers products are most popular in Western Europe, North America, and South America. You can ensure product safety by selecting from certified suppliers, including 3,994 with ISO13485, 2,156 with ISO9001, and 1,115 with Other certification.